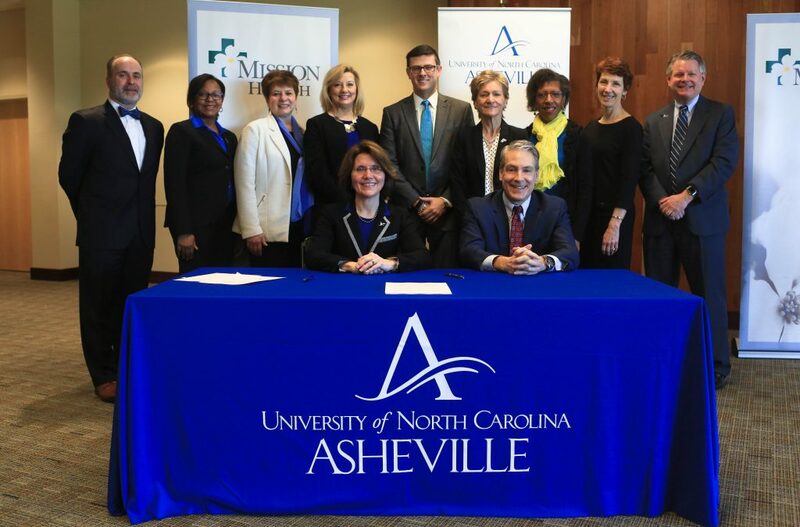 Asheville, N.C. (February 6, 2017) – Ronald A. Paulus, MD, Mission Health President and CEO and UNC Asheville Chancellor Mary K. Grant, PhD, announced today that the Asheville institutions they lead are entering into a new and ambitious partnership focused on health, wellness, education and engagement. The announcement was made at a joint press conference this morning at UNC Asheville’s Sherrill Center, where Drs. Paulus and Grant were on hand to answer questions about the new projects that will stem from the expanded partnership, and to celebrate its culmination. Both described the partnership as a natural outgrowth of the collaborative work of each institution. The energies each invests in employee wellness, student health, and the health and vitality of the community-will be further leveraged through this partnership. Healthy Campus 2020 Initiative – The enhanced partnership establishes an inaugural Healthy Campus 2020 Committee dedicated to improving the health of students, faculty and staff with the expertise from Mission Health’s Wellness Teams. Additionally, a dedicated campus liaison will be employed by UNC Asheville and will be responsible for administering programs aligned with the American College Health Association’s Healthy Campus 2020 initiative, joining a network of colleges and universities working toward a common vision of prioritizing community health needs. Sports Medicine Services – UNC Asheville has selected Mission Health to be their partner in providing comprehensive sports medicine services for the UNC Asheville Bulldogs, which fields 16 NCAA Division I teams. These services include athletic training, administrative support, pre-participation and annual physical examinations and administering all NCAA-required policies and regulations. Internships and Employment Opportunities – Through UNC Asheville’s Career Center, the two organizations will work together to provide unique opportunities for internships at Mission Health. Because the university’s Career Center will be an essential source for Mission Health’s future workforce, the partnership establishes at least ten paid internships yearly. These internships will provide undergraduates with hands-on professional experience in the health sciences and health administration fields. Establishment of Mission Health Scholarships – Mission Health values and commends the health-related education programs that UNC Asheville provides, and has increased and focused scholarship funds for students—particularly those who need more significant financial support—seeking careers in health-related professions. Mission Health and UNC Asheville have enjoyed a long and rich relationship of working collaboratively on numerous community-based, educational, and health-related endeavors. Some ongoing projects include Mission Health staff collaborations with UNC Asheville’s North Carolina Center for Health & Wellness and the Osher Lifelong Learning Institute (OLLI). UNC Asheville employees will also be able to utilize innovative Mission Health employee wellness programs, such as the MyHealthyLife and WellConnect subscription program. UNC Asheville and Mission Health partnered together on Monday, January 16 for Martin Luther King Jr. Day of Service, with more than 250 volunteers from each institution working side-by-side to help build homes, work with young people, work with older adults and family caregivers, care for rescued animals, clean up trash, plant trees and more. In addition, research projects aimed at undergraduates that focus on everything from cancer studies, genetics, and integrative health to kinesiology, physiology, and geriatrics are also in motion. Mission Health staff hold positions as adjunct instructors at the university, while UNC Asheville extends continuing educational opportunities to Mission Health employees, which allow them to advance in their careers. Dr. Paulus was honored that UNC Asheville chose Mission Health as the organization they believed could best serve the University’s high caliber athletic programs and wellness initiatives. “We are certain that our alliance with UNC Asheville will result in expanded opportunities for their student body and student athletes, as well as our own team members. Our partnership will lead to a healthier community, prepare the workforce of tomorrow, and raise awareness about UNCA’s mission and our own. This is another important way we are helping our community be well, get well, and stay well,” he said. Mission Health, based in Asheville, North Carolina, is the state’s sixth-largest health system and was recognized as one of the nation’s Top 15 Health Systems from 2012-2015 by Truven Health Analytics, formerly Thomson Reuters, becoming the only health system in North Carolina to achieve this recognition. 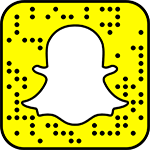 Mission Health operates six hospitals, numerous outpatient and surgery centers, post- acute care provider CarePartners, long-term acute care provider Asheville Specialty Hospital, and the region’s only dedicated Level II trauma center. With approximately 12,000 employees and 2,000 volunteers, Mission Health is dedicated to improving the health and wellness of the people of western North Carolina. For more information, please visit mission-health.org or @MissionHealthNC.